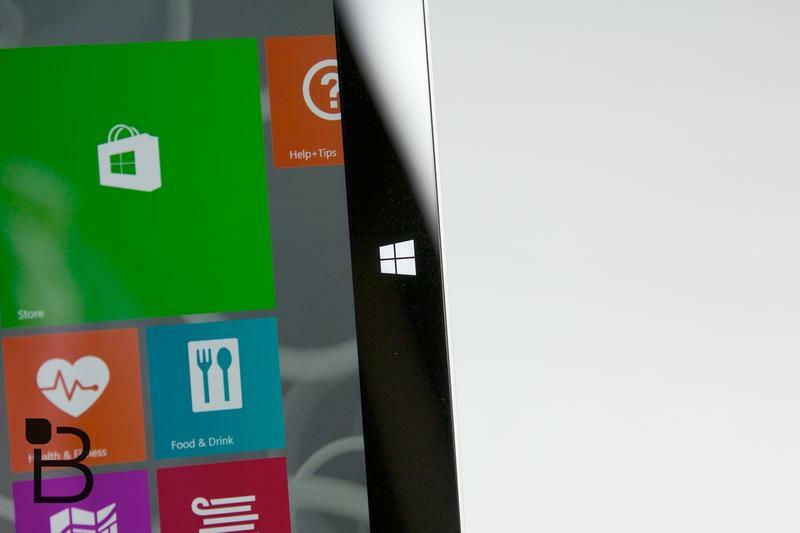 Microsoft knows you don't own its gadgets. 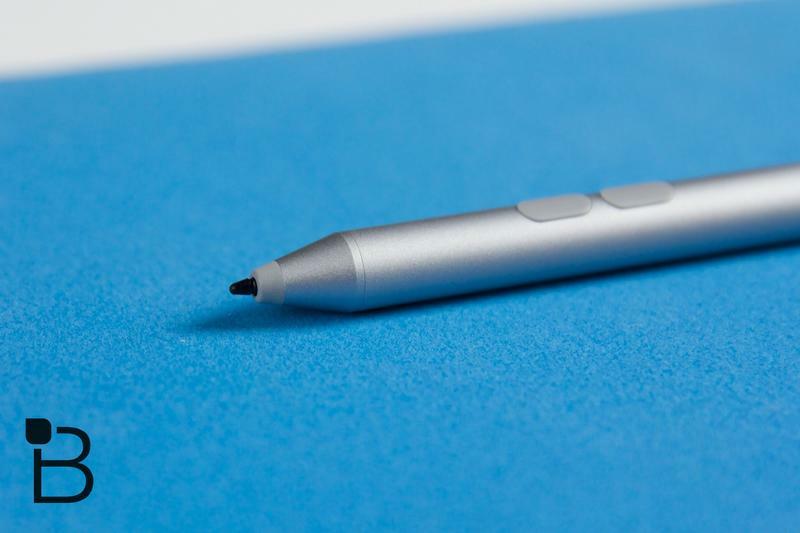 At the company's Surface Pro 3 event in May, an impassioned Panos Panay paused in the middle of unveiling its bold new device, and quietly scanned the room. What he saw was a sea of Apple logos: MacBook Airs, iPads, some iPhones. It was like we stepped directly into a Microsoft employee's nightmare, yet it was playing out in real-time. Over the last several years, that scene has become a familiar one across the world (and at tech events throughout the year)—and as Microsoft continues Windows 8's transition over to a more touch-friendly environment, the disparity has become more evident. Apple, which is taking drastically different desktop/mobile approach, confidently acknowledged its growing PC dominance just this past week at WWDC. But Microsoft executives aren't letting that stop them from realizing their vision of the future. Now two iterations into its Surface Pro lineup, the company has seemingly learned from past mistakes by embracing a more natural compromise between the laptop/tablet hybrid. Instead of stuffing computer guts into a tablet form factor, Microsoft sized up in an attempt to go directly after its biggest competition. And it comes darn close to succeeding, too. This is Microsoft's third attempt to reinvent the laptop and, as you'd expect, it's also the company's best design thus far. Upon first impression, its size and form factor might seem all out of sorts; it's huge for a tablet, yet almost too skinny and bare to be a laptop. But the more you settle in, the more you become with familiar with what the Surface Pro 3 offers, the more it all makes sense. Maybe I don't need a laptop and a tablet after all. For a long time we've enjoyed the idea of a true post-PC device, something that handles all your computer-y needs, but still offers the enjoyment of something more mobile—and it's been promised for a long time. But Microsoft's previous two outings wound up falling short, and ultimately failed to change the market in any significant way. 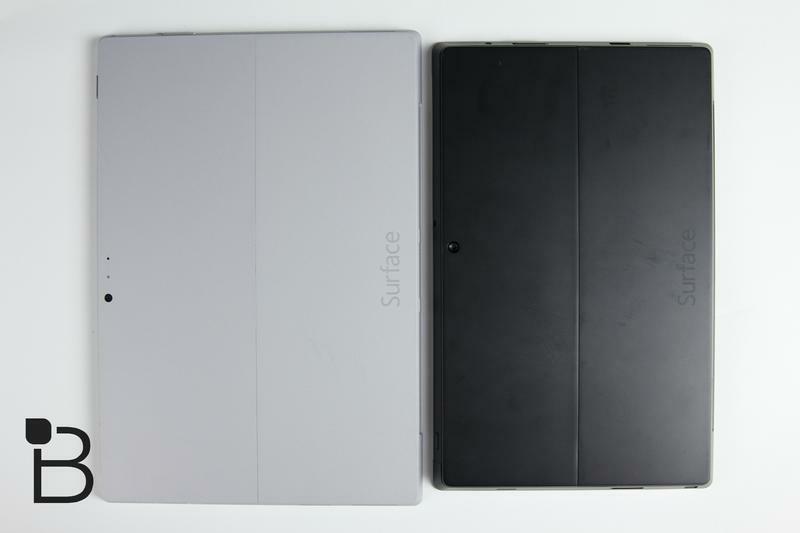 The Surface Pro and Surface Pro 2 were good, but never good enough to topple Apple's MacBook Air/iPad combo. The Surface Pro 3, however, is Microsoft's biggest change yet, and easily the company's best weapon to herd us toward the laptop promise land. 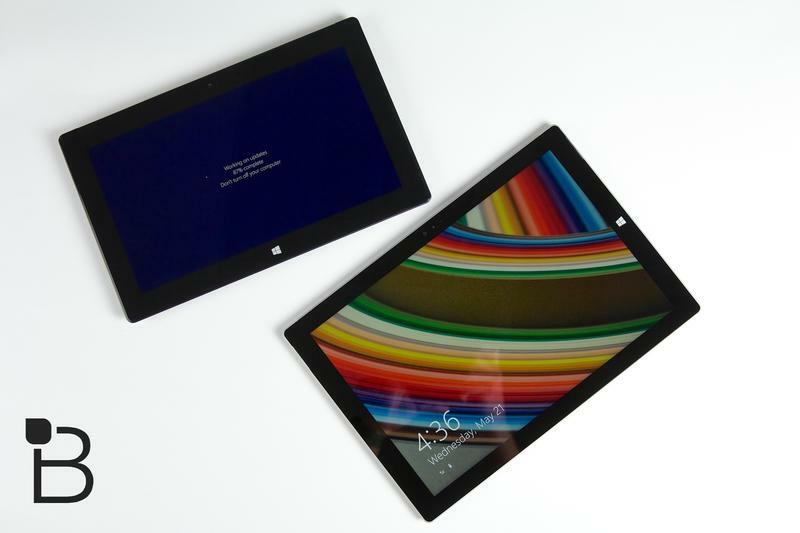 At a glance, the Surface Pro 3 is pretty similar to Microsoft's first two efforts; it's a flat slate that possesses a full version of Windows 8. You can touch it like a tablet, use it with a stylus, and attach a Type Cover keyboard (which is optional, but highly recommended), making it functionally similar. The core ideas are still the same, with focus on productivity first and fun second. But the form factor, now a lovely 12-inch, 3:2 piece suit of glass and metal, surprisingly makes a big difference. 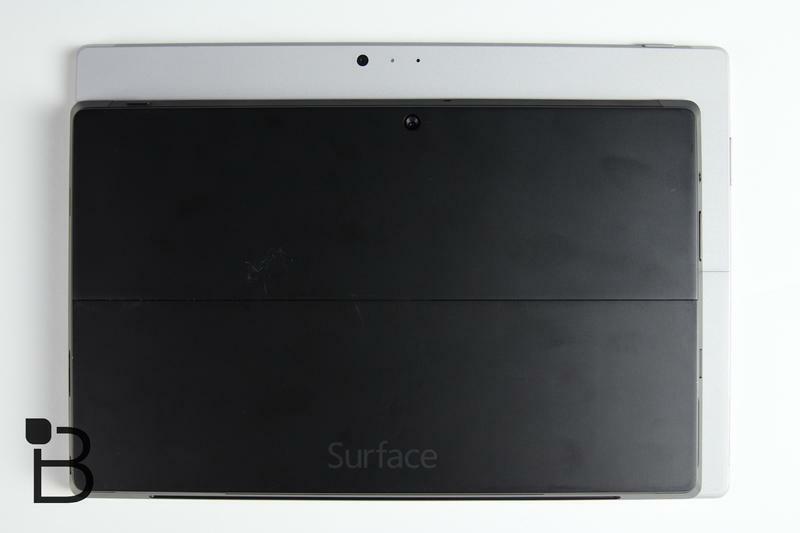 It's not that Microsoft's Surface devices didn't look nice—even the RT versions were great. But they always felt a bit awkward, like they never committed to being that gadget of the future. 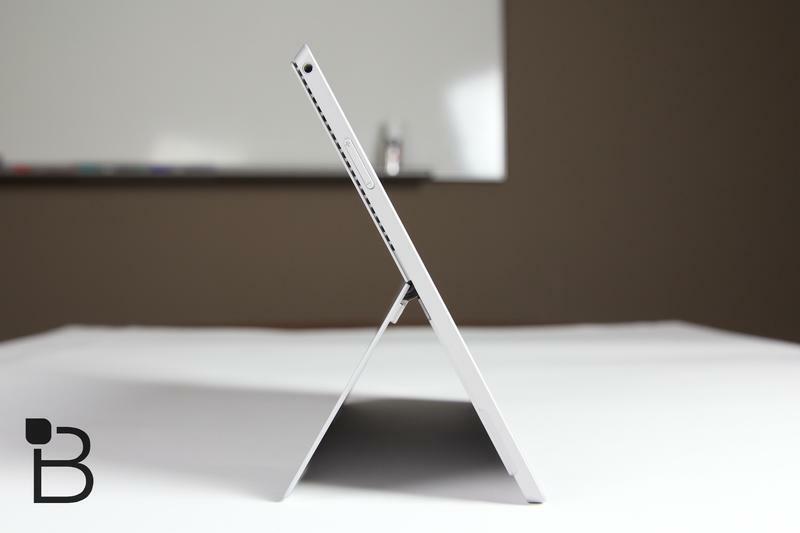 The Surface Pro 3, meanwhile, feels like a leap beyond the future; it's unlike anything else out there. 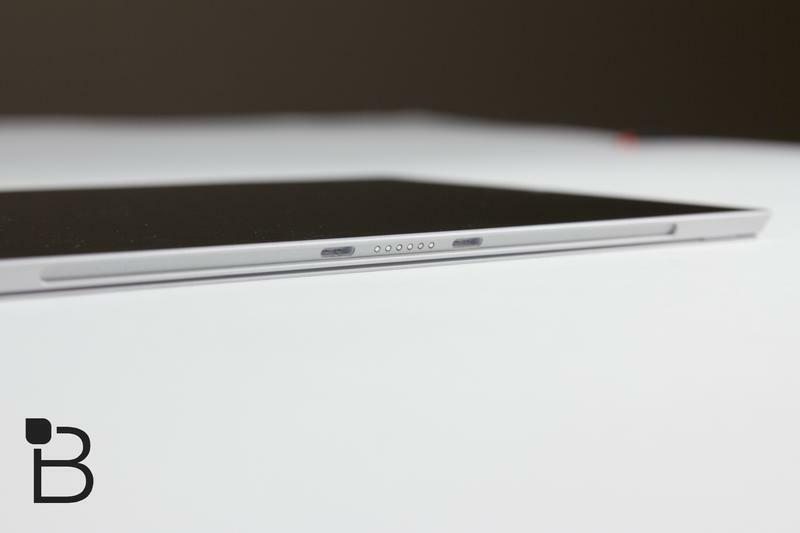 You can't believe how thin it is at just 0.36-inches, or how light at 1.76 pounds. 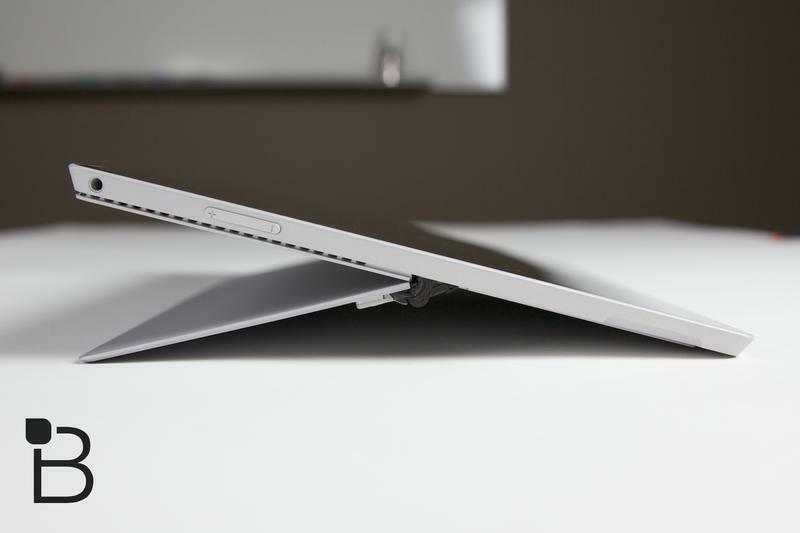 Compared to Apple's MacBook Air, it's significantly thinner, and almost half the weight. 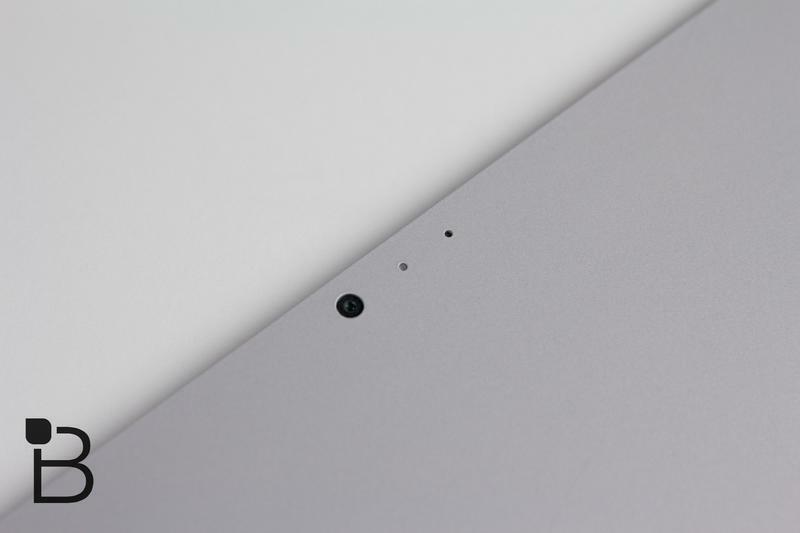 That's without the Type Cover attached, but even then it's still thinner and lighter than anything else out there. That 12-inch display, by the way, has a 2560 x 1440 resolution, which looks absolutely wonderful. The 3:2 aspect ratio, mentioned before, is a good middle ground between the laptop's of today and the easier-to-wield 4:3 of Apple's iPad. It might take some getting used to at first for those familiar with Microsoft's previous Surface devices, but it makes sense in the Pro environment. It manages to feel more like a powerful computer, and not like it's trying to imitate other tablets. Like the Surface 2, the Pro 3 sports that pleasant light grey finish, which helps to complement the device's strong industrial design. Outside of the Apple camp, the Pro 3 is probably the best specimen of engineering out there, with an angularity and quality that elevates it to near-untouchable levels. 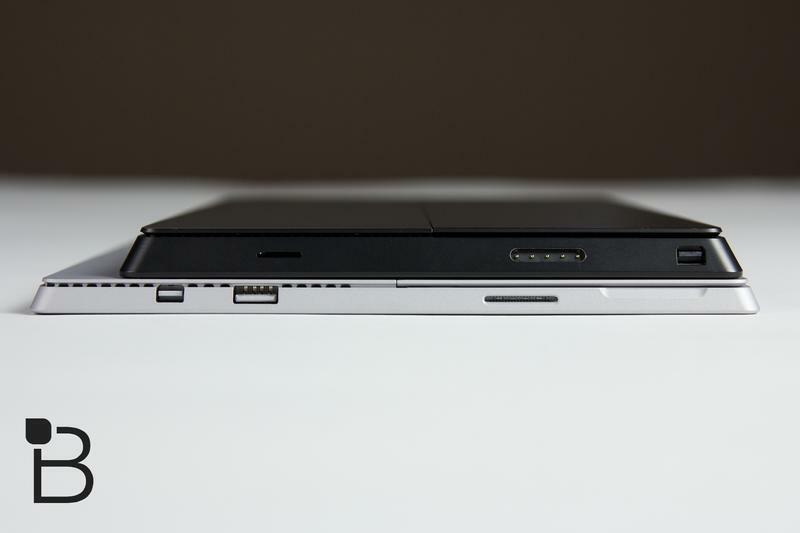 On the backside, the device's vents run along the top edges, though you won't even notice they're there; on the right rests a single USB 3.0 port, along with a Mini DisplayPort, microSD card reader, and on the top-left is the device's power button; there's also a volume rocker, as well as the dock connection on the bottom. All that stuff about the design we already knew—the previous two Surface Pro devices were already pretty great, and the extra tweaks Microsoft made have paid dividends. The new revamped hinge is what you really want to pay attention to. 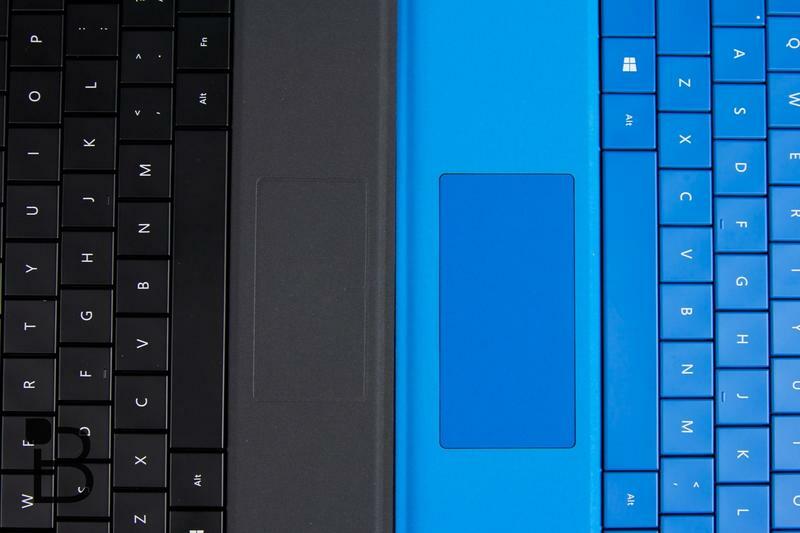 If the Surface Pro ever wants to be a laptop replacement, it has to at least feel like a laptop, and the hinge on previous models never really felt all that great. They had a satisfying click to them, and worked well enough, but you had to be in the perfect position to use it properly, limiting its functionality. 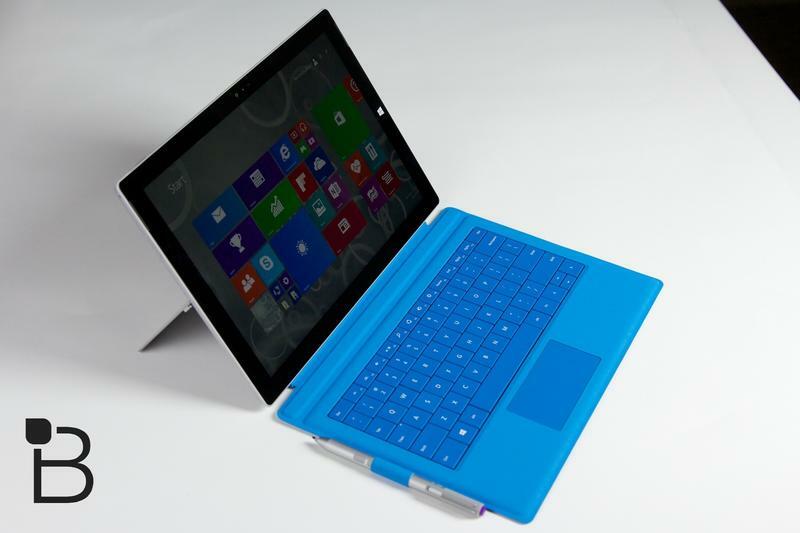 The Surface Pro 3 fixes that and then some. The clicking is gone, replaced by a new resistance hinge that can essentially be affixed to any position up to 150 degrees. That kind of range of motion is similar to a typical laptop, and means you can sit the device on your laptop and achieve the most comfortable angle possible. It's really remarkable what Microsoft has achieved with this new hinge—we're making a big deal about a hinge!—but it really increases the quality of the devices, and makes it so much easier to use. As a laptop, the Surface Pro 3 is the best Windows 8 device for the job, especially if you value design and portability. 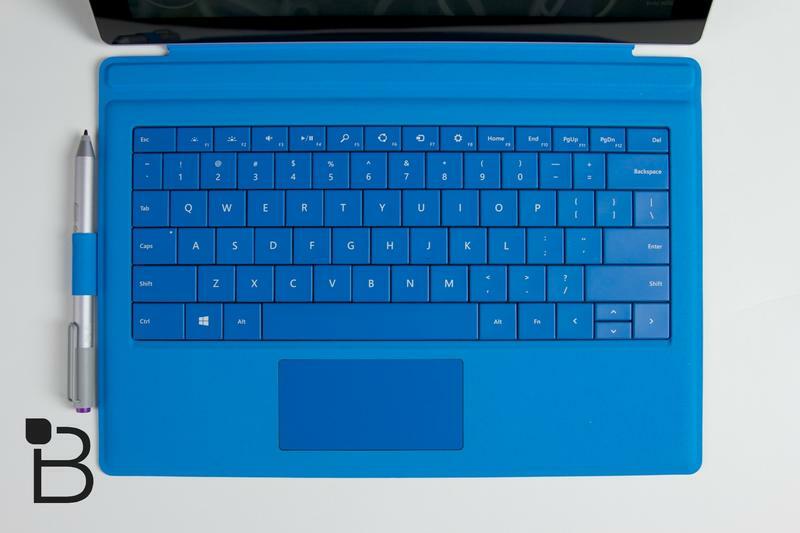 Compared to cheaper Windows 8 laptop out there, sure, this might not be on your radar. 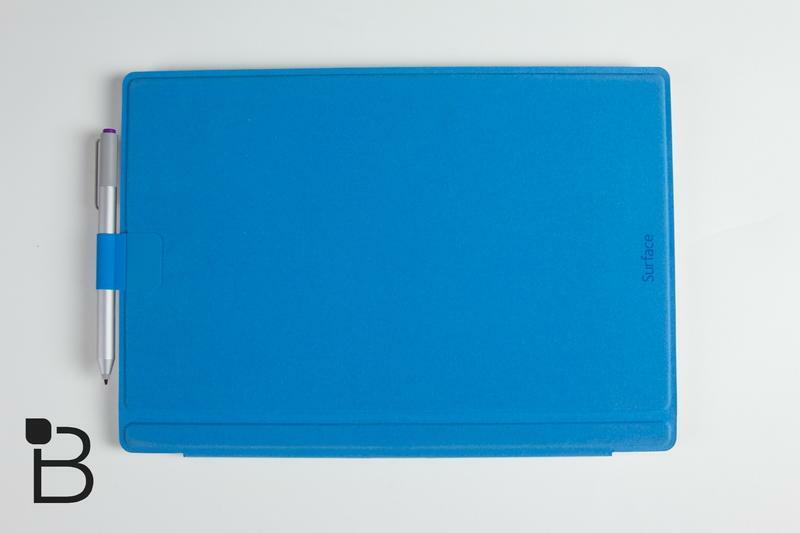 But it's a full-fledged laptop in the body of a freakin tablet—we can't underline that enough. This is all assuming you purchased Microsoft's new Type Cover, which is absolutely essential if you want to get any type of work done. Without it you're pretty much in a boat without a paddle. The new Type Cover for the Pro 3 has been completely revamped; it's bigger to match the larger screen, and it comes with a handy magnetic bar at the top that allows it to lock to the Pro for better stability. It's still not quite the experience you'd get with something like the MacBook Air, but it's a smart addition that makes the keyboard infinitely more usable—and it's just a darn neat trick. It's just such a shame that Microsoft refuses to include one with a Pro 3 purchase. 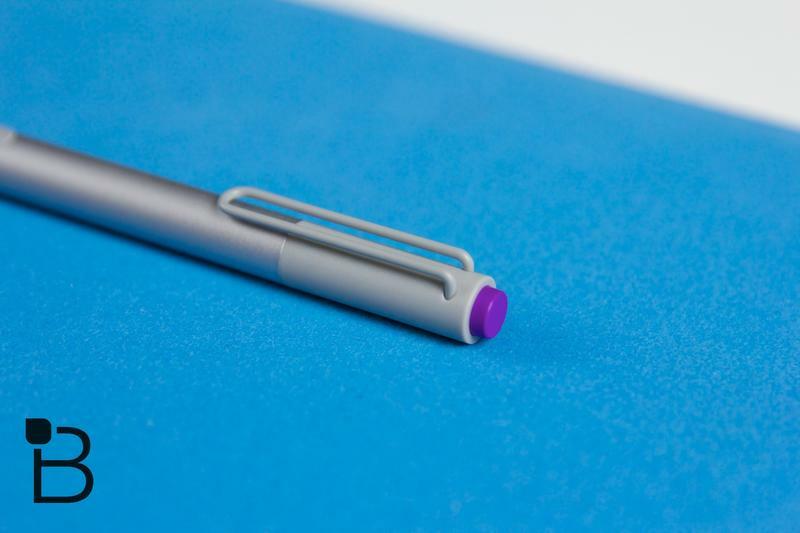 The Type Cover also features a pretty smart little sleeve for the included Surface Pen, which has also been revamped slightly to match the quality of the Pro 3. In terms of using the Pro 3 as a laptop, it's an acquired taste—and it's really no fault of Microsoft's. The company is earnestly trying to usher us into an exciting PC future, but getting acquainted with new things takes time. It takes time to get used to the keyboard, for example, and actually using the device like a traditional laptop is strange because of its design; you find yourself trying to use it like a tablet, only to remember this is a full fledged laptop—and it's capable of quite a bit. What's remarkable, though, is that once you get acclimated, it's difficult to go right back to whatever laptop you currently use. You're compelled to touch and prod the screen, and the inclusion of a stylus makes it so much easier to create media and jot down notes. 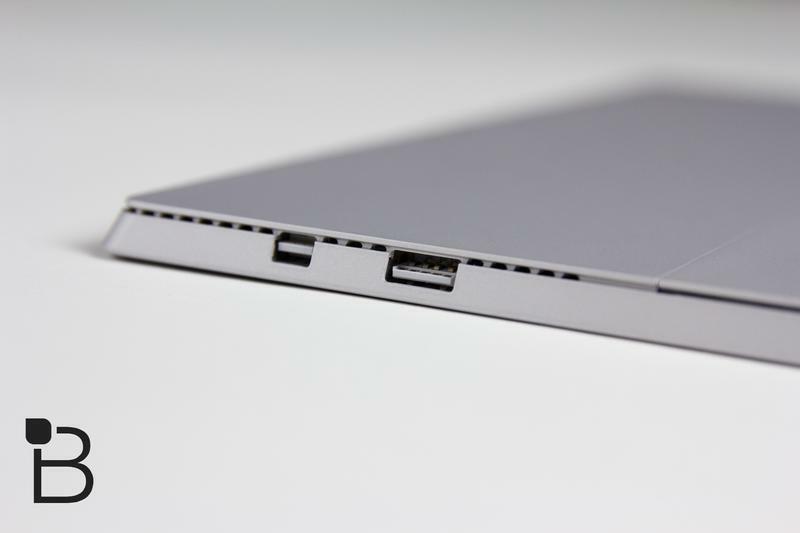 None of that is present in a MacBook Air, for example; that kind of feeling was never there in previous Surface devices, but Microsoft has managed to turn that around thanks to smart design just enough future without feeling too overwhelming. One of the things Microsoft really focused on during its presentation was the Surface Pro 3's "lapability" (Microsoft's term, not ours), and it actually does work well when you don't have a surface (ha!) to work on. 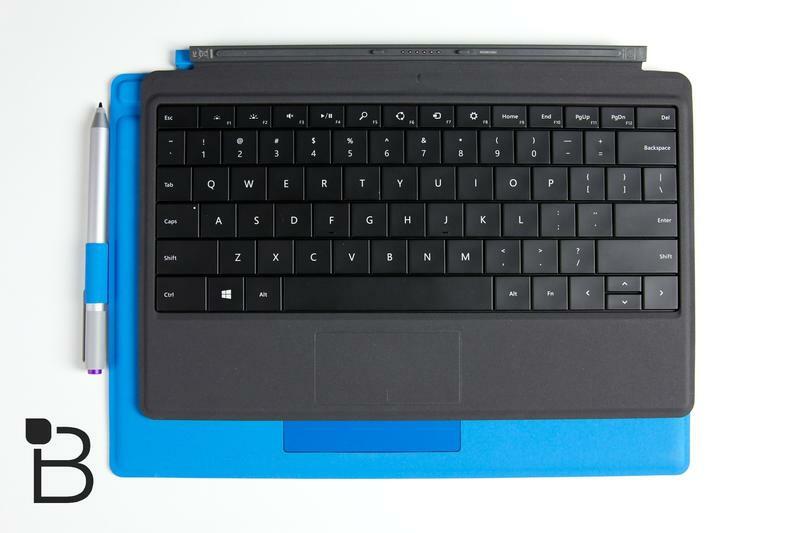 It's never all that comfortable to use a laptop on your lap, but it's really bad using the Surface Pro and Pro 2—you always needed to slouch in a weird way just to make it stable, and the keyboard were always a pain to use, causing the device to rock back and forth. 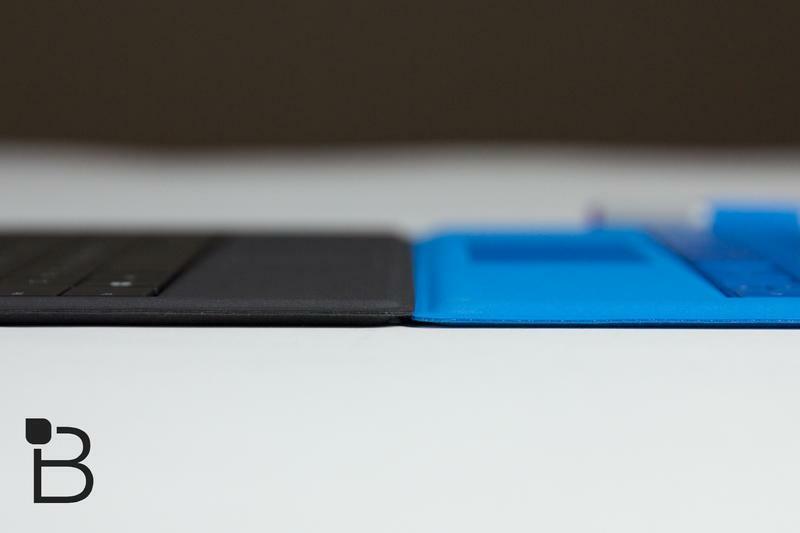 The new hinge completely fixes this, and the new magnet in the Type Cover makes an enormous difference. That lapability extends beyond just using the device in your lap, too. The fact that an entire computer is stuffed into a laptop body makes the device so much more portable than your usual laptop, saving much-needed space in your bag or purse. It's great that you can just flip the cover closed, pick it up and go. And if you're lugging it around the house while watching Netflix, you don't have to grab it by the bottom of the keyboard as you would with a typical laptop. It's a small thing, but being able to treat it like a tablet—albeit a ginormous one—adds to the illusion of post-PC-ness. That doesn't mean it's all perfect, though. The Type Cover can't match the keyboard of what you'd get on a 13-inch Air; it's not as rigid or satisfying to type on, and the touchpad on Apple gadgets is still unmatched. Meanwhile, the battery life on the Pro 3 was pretty ok—maybe seven or eight hours—but it doesn't quite match other competing devices, which offer upwards of ten hours and beyond. There had to be a compromise somewhere with such a slim body, and that seems to be it; it's not bad, but it's also not super great. I wouldn't recommend buying the Pro 3 just for its ability to act like a tablet. It's great that the ability is there, but this is a productivity device first, and consuming device second. That said, the Pro 3 works fairly well in "tablet mode"—enough to where it's no problem watching Netflix, playing simple games, browsing the Web, and doing things as you normally would on your tablet of choice. 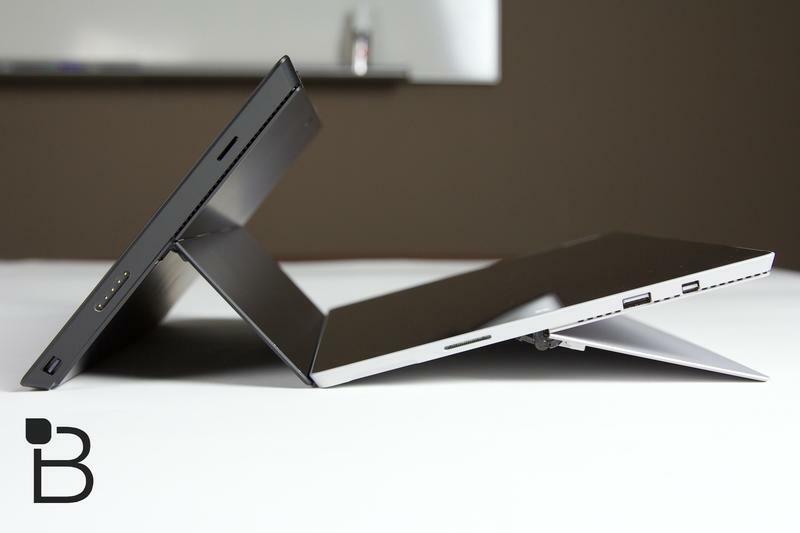 Microsoft is really adamant that we don't "need" two separate devices. (Do we really "need" any device?) And as a hybrid, the Pro 3 is perfectly fine when you're not waist-deep in writing documents or creating presentations. 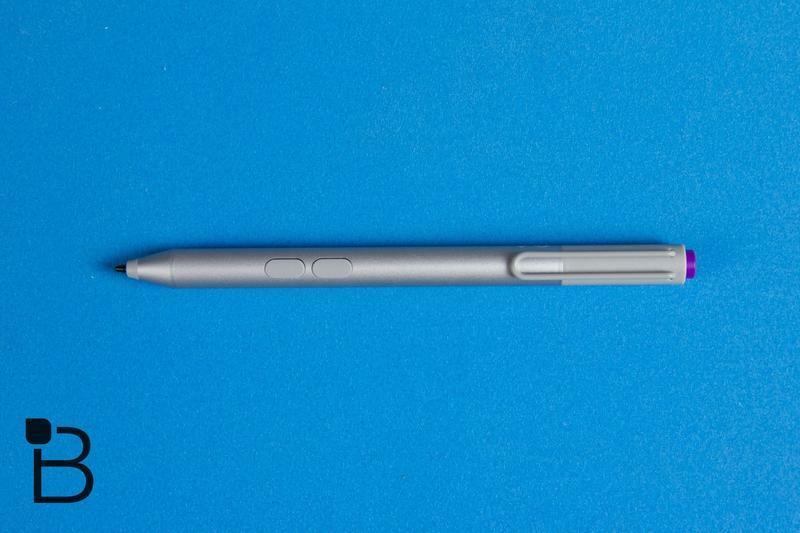 And with the added Surface Pen, artists will really find the Pro 3 to be a boon. To be fair, you can probably get just as much creative work done on something like an iPad, so the Pro 3 doesn't really offer too many advantages in terms of sheer artistic content creation. This isn't so much a tablet anyway—more like a computer with the added benefit of acting like one. But in terms of just, you know, beaming Netflix to your eyeballs, the Pro 3 is perfectly ok. Great even. If you do spend more time using the device as a tablet, the Pro 3's easy OneNote integration is a nice touch, and scrawling down notes and pictures is super fun and accurate with the pen. I can't see the stylus being that big of a benefit over traditional laptops if you have zero artistic talent, but it's there and pretty useful if you are the creative type. Me? No drawing ability whatsoever, so the pen was more there for show—like, hey, I could draw or write if I wanted to. Also know that, when used strictly as a tablet, the Pro 3 is a little unwieldy because of its larger size, but not quite as awkward as previous versions. 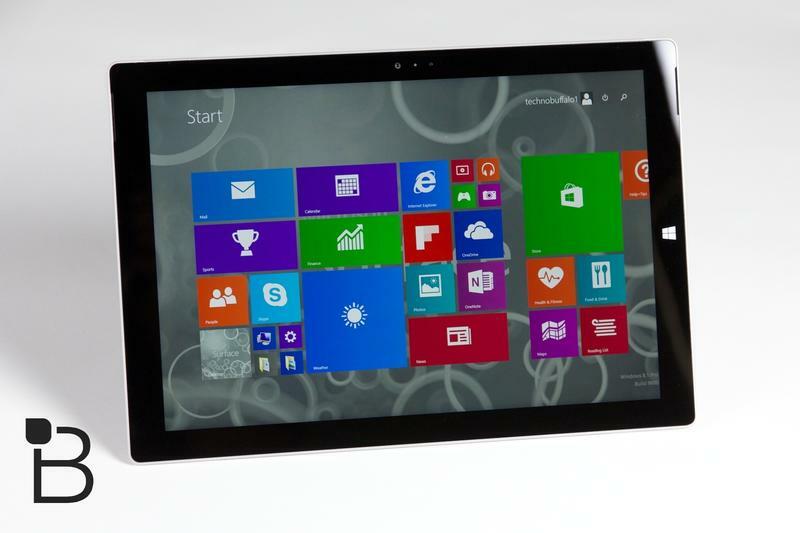 The Surface Pro 3 is the best way to experience Windows 8, and a big step toward Microsoft's laptop/tablet future. 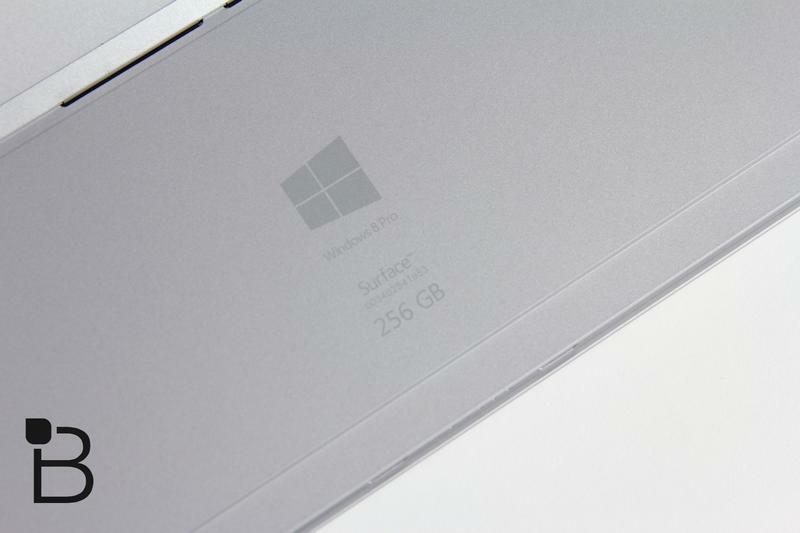 The Surface Pro 3 isn't a laptop in the traditional sense, and that's both good and bad. Good because Microsoft is ushering us closer than over to a future beyond traditional clamshell laptops. Bad because the Pro 3 still isn't quite perfect—but it's damn close, and we're more confident than ever recommending this to Windows fans. This is where Jon and I differ: if I were to choose, I'd go with the MacBook Air any day of the week. The hardware is just as nice, I don't need the stylus, and the typing experience is so much better. You also get a built-in SD card reader with the Air, superior battery life, and two USB ports, which rest on either side. The Pro 3's screen is hands down better, and the portability is much more convenient since it takes on the tablet form factor. but it's not enough in my book to switch, and that'll be a dilemma many consumers will grapple with over the next several months. 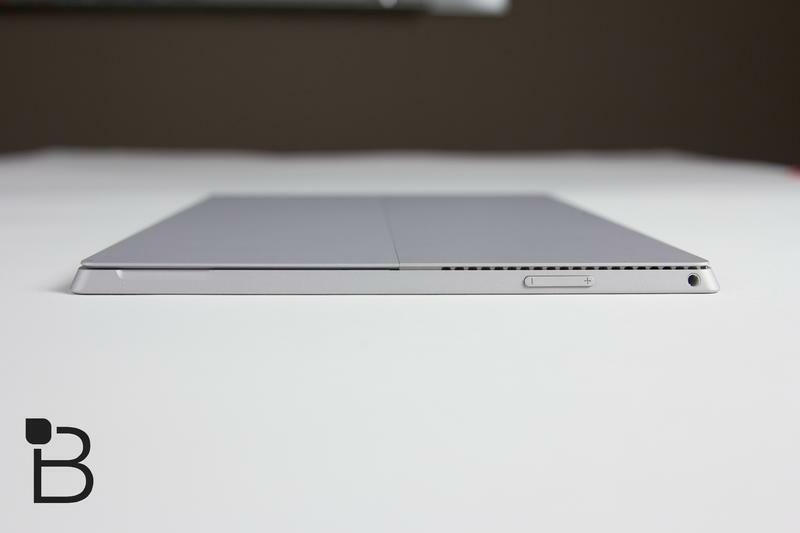 As a MacBook Air user, the Surface Pro 3 didn't enrich my life in any significant way, but I can really appreciate what Microsoft has accomplished.The hardware is excellent, the screen looks wonderful, and the device overall has been improved in every possible way over the Surface Pro 2—that's all you can ask for when making progress towed a laptop/tablet future. For all you photogs and graphic artists: this might be something to consider down the road, especially considering there's a version of Photoshop coming built specifically for Microsoft. If you need a laptop to browse the Web, write papers, and consume content, I'd stick with whatever it is you have now, whether it be an Air, MacBook Pro or some other Windows 8 computer. When configured to 128GB with an Intel i5, the Pro 3 starts at $999, and that's without the $129 Type Cover, which is essential if you plan on getting any actual work done; a 11-inch MacBook Air with similar specs, meanwhile, starts at $899. The Pro 3 can be configured up to 512GB with Intel i7, bringing the price up to $1,949 (and doesn't ship until the end of August, so bare that in mind). 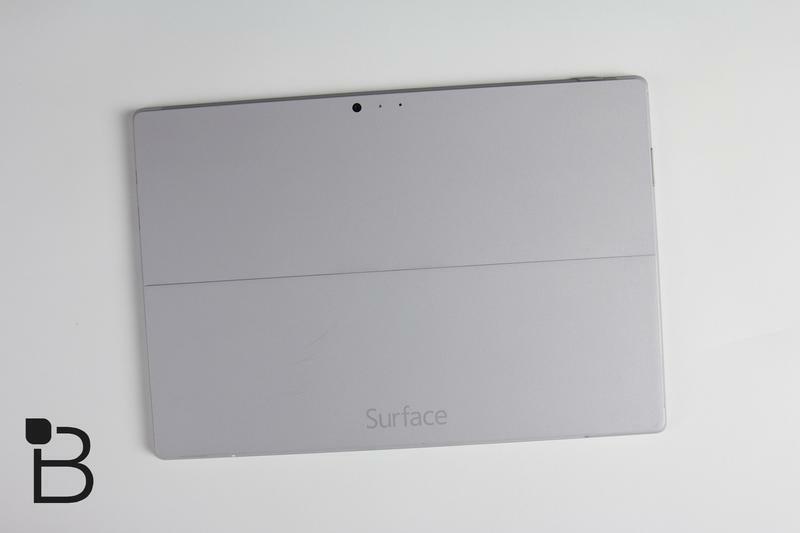 Jon used the Surface Pro 3 at home for two full weeks before starting his review. Brandon used the device off and on over a five day period.